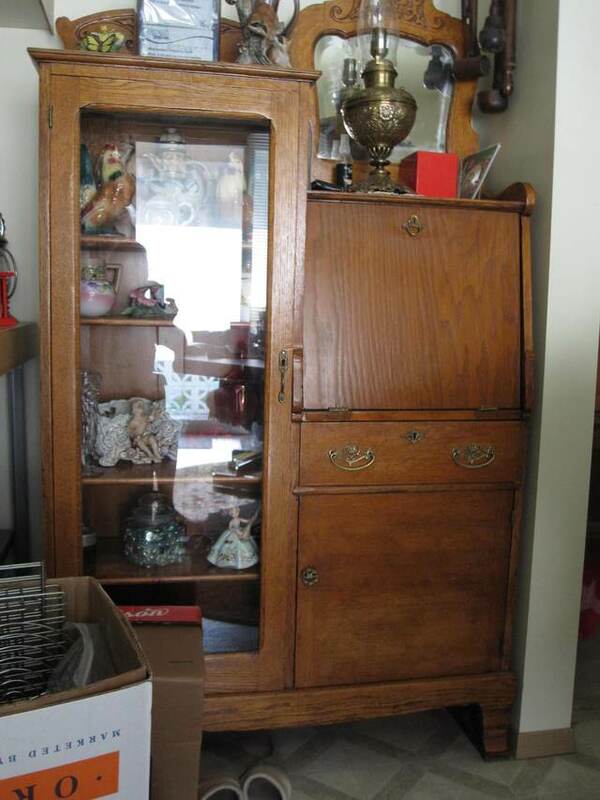 Desk and cupboard on one side and the other a curio cabinet. These are hard to find as most people pass them down from generation to generation. Asking $450.00.